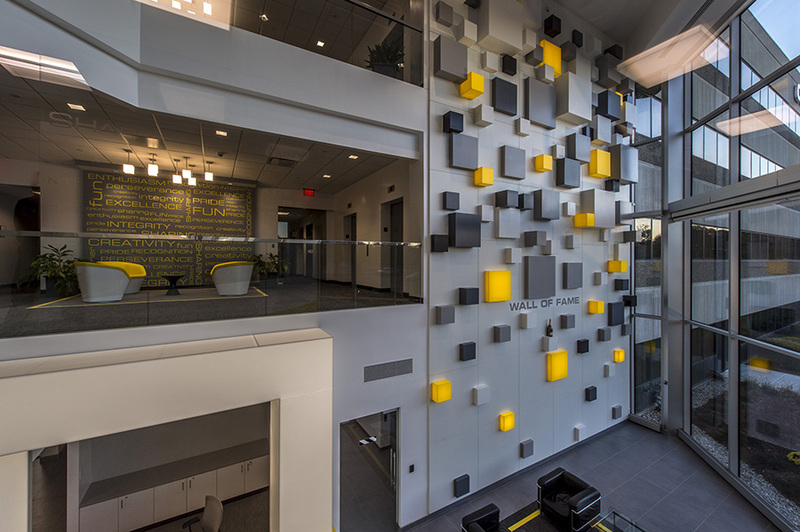 Gorman Richardson Lewis Architects and Rubicon Builders recently completed a renovation to the MetroWest YMCA locker & shower rooms in Framingham, MA. 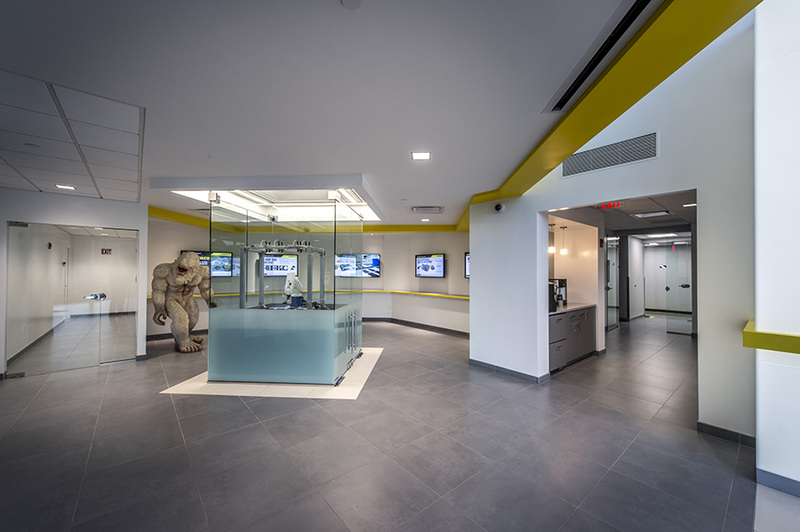 Located at 280 Old Connecticut Path, this main branch of the of Y houses a pool, fitness center, child-care facilities, as well as hosting classes in dance, gymnastics, youth & teen wellness programs, and many others. The YMCA is a cause driven charitable organization that is dedicated to providing programs and services that build a healthy mind, body, and spirit for all. The men’s locker room received reconfigured & renovated shower areas, a new sauna, updated lighting fixtures, new floors, as well as a more modern, and comfortable locker room to enjoy. In addition, the women’s locker room now has reconfigured showers for more privacy, modern lighting fixtures, updated lockers, ADA accessibility improvements, and new floors. GRLA made these enhancements to modernize the YMCA of MetroWest’s locker rooms, bring them up to ADA current standards, and add a more contemporary look and feel, as well as increased privacy for all. 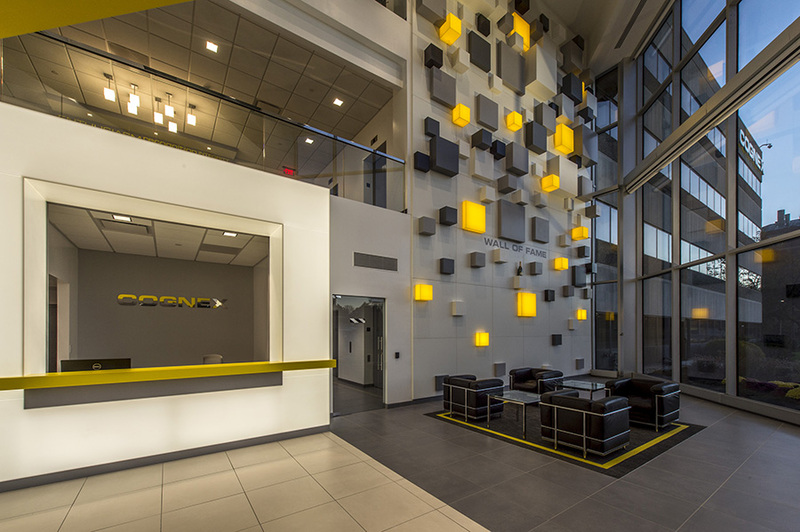 We recently completed a major renovation for Cognex's 4-story lobby in Natick. Check out the photos below!